Many people still assume that Jesus’ Last Supper was a Seder, a ritual meal held in celebration of the Jewish holiday of Passover. 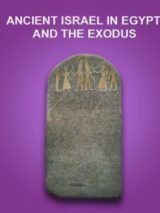 In this exclusive Bible History Daily guest post, Boston University Professor of Religion Jonathan Klawans provides an update to his popular Bible Review article questioning this common assumption. Many assume that Jesus' Last Supper was a Seder, the ritual Passover meal. Examine evidence from the synoptic Gospels with scholar Jonathan Klawans. How Was Jesus’ Tomb Sealed? What kind of stone sealed the tomb of Jesus? Was it a round (disk-shaped) stone or a square (cork-shaped) stone? While both kinds of blocking stones are attested in Jerusalem tombs from the time of Jesus, square (cork-shaped) stones are much, much more common than round (disk-shaped) ones. Jesus is the central figure of Christianity, the world’s largest religion. As a teacher in first-century Galilee, he influenced thousands. Yet many questions today surround this enigmatic person. 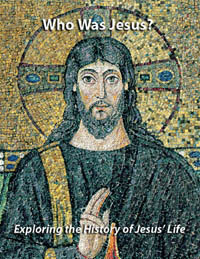 This eBook examines the history of Jesus’ life, from where he was born, where he grew up and whether there is extra-Biblical evidence for his existence. Not even the intense drama and tragedy of Jesus’ trial, passion, death and burial can prepare one for the utter shock at what comes next in the well-known story: Jesus’ resurrection. 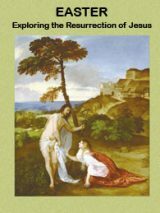 In this free eBook, expert Bible scholars and archaeologists offer in-depth research and reflections on the resurrection story. Where Is Golgotha, Where Jesus Was Crucified? Where is Golgotha, where Jesus was crucified, located in Jerusalem? Marcel Serr and Dieter Vieweger discuss past and current investigations into the site where Jesus was crucified. For a people living in the diaspora, unable to visit the Jerusalem Temple frequently, what kept the memory and centrality of the Temple fresh in their minds? An intriguing stone uncovered at the Galilean site of Magdala might offer a clue. The Jewish menorah—especially the Temple menorah, a seven-branched candelabra that stood in the Temple—is the most enduring and iconic Jewish symbol. But what did the Temple menorah actually look like? Learn more in this post and view a number of important menorah depictions from antiquity. What’s Missing from Codex Sinaiticus, the Oldest New Testament? Compare differences in the Biblical text between the King James Version and Codex Sinaiticus, the oldest New Testament.